Friday, 5 July 2013 By Marchetto Pellami S.p.A. 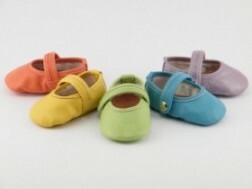 The world latest news regarding leather products report about the dubious quality of children’s footwear. And in blogs dedicated to mothers, it is not uncommon to find dermatitis and eczema alerts suffered by children due to leather shoes. How can you protect your children? Marchetto Pellami gives us some useful advice. “Considering that the Italian tanning industry is the most important in the world with regards to quality, fashion and safety, first of all, you should make sure that you are purchasing a genuine Made in Italy product, which is certainly a guarantee as well-known brands are, and be wary of too low prices. And above all, the product should satisfy the REACH Regulation (Registration, Evaluation and Authorisation of Chemicals), i.e. the European regulation that establishes procedures for the use of chemicals in the processing of leather and prohibits the use of those chemicals considered dangerous, to ensure that the products do not contain substances harmful to health. Uni.Co.pel. has recently been established; it is an association that protects consumers of leather products from malpractices and abuses often due to unclear and misleading information”. It is important that children’s shoes are made with products manufactured by companies complying with environmental protection and personnel health. Only with leathers of guaranteed authenticity and safety you can have safe products.